Jacobs Bakery offers a varied menu at all times of year, but Shavuot is when this bakery truly shines. 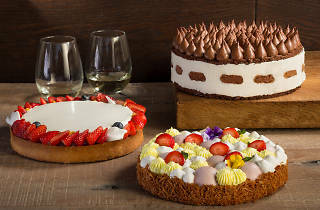 Expect creamy cheese cakes, aromatic handmade breads crafted specially for the holiday table, a special patisserie combining otherworldly flavors and textures - all unique and festive. 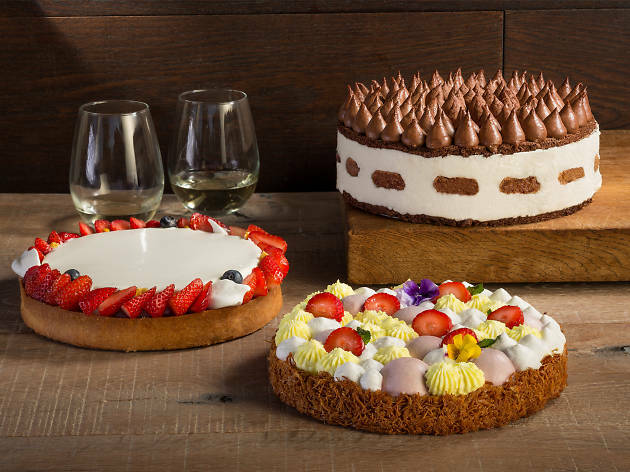 The dynamic duo behind the brand, Maayan Kaufman and Karin Feingold put a lot of love and thought into the rich desserts - from fluffy mousse, perfectly prim tarts and select handmade raw materials. The strawberry mascarpone tart is a dream: a layer of biscuits dipped in amaretto liqueur, strawberry confit and mascarpone mousse topped with juicy strawberries. The signature tiramisu is a delightful layered dessert of cocoa biscuits, mousse, mascarpone, biscuits dipped in espresso syrup, coffee and cream liqueur and an impressive coating of milk chocolate ganache and coffee. A delicious assortment of cookies, eclairs and decorated tartelettes round out the mix.